Permanent dentures are one of the popular options patients have to choose from when it comes to replacing missing teeth. These devices are a hybrid of the two popular dental prosthetics: implants and dentures. 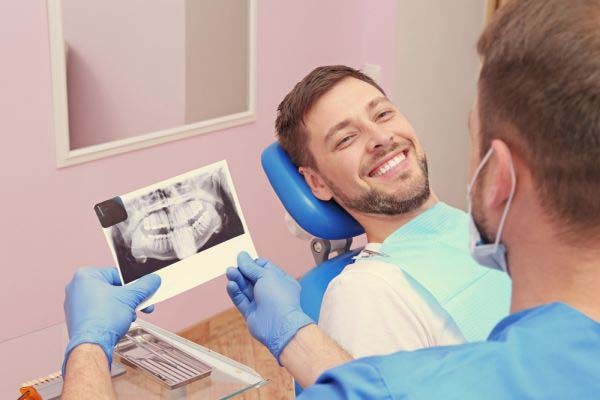 Implants are the recommended way to replace missing teeth since these devices do not just replace the part of teeth that are visible above the gums. Implants also replace natural teeth roots. This is an important feature of implants since teeth roots are responsible for stimulating jawbone tissue and ensuring its health. When a tooth and its root are missing, the jaw stops being stimulated and that leads to the loss of bone tissue. This can have drastic effects on the person's appearance and make their face appear sunken and older. Dentures are a popular option with those who are missing most of the natural teeth mainly because of their affordability. A full set of dentures often costs less than replacing a single tooth with implants. Dentures also replace the appearance and look of missing teeth, so the patient is free to go back to life as usual. However, things are not that simple. While dentures are an excellent solution for missing teeth, these devices come with a few drawbacks. For example, it takes some time to get used to wearing dentures. These devices tend to move around in the patient's mouth, and that can be quite uncomfortable at times. The constant movement of dentures in the mouth often leads to the development of mouth sores. 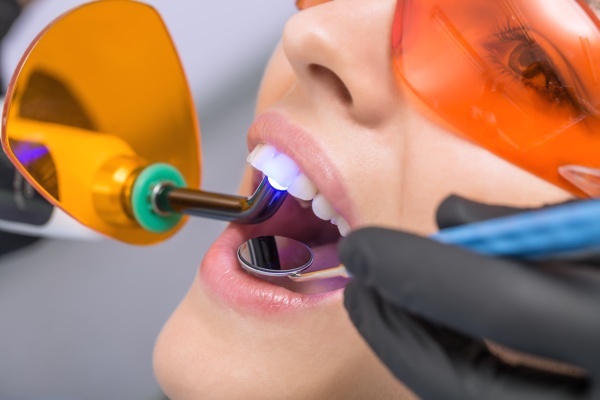 Dentures are held in place with suction, and the use of awful-tasting dental adhesives and the device is not ever 100 percent secure in the patient's mouth. Dentures are prone to falling out of the wearer's mouth from time to time. That can be a quite embarrassing experience. Permanent dentures are typically held in place by four to six implants on each side of the jaw. These implants are inserted into areas where the patient has adequate amounts of jawbone tissue. The implants are typically ready to be fitted with temporary dentures the same day they are installed. The implants are then given several months to bond with the bone tissue holding it in place. This process is known as osseointegration. Once the implants are securely fused with the surrounding bone tissue, a set of permanent dentures are attached to them. This aspect instantly restores the patient's smile and gives them back the function of all the lost teeth. Unlike traditional dentures, implant supported dentures are securely fastened to the patient's jaw. They stay in place, and taking care of them is no different than taking care of real teeth. Dealing with missing teeth? Schedule a consultation with one of our dentists to explore your options.